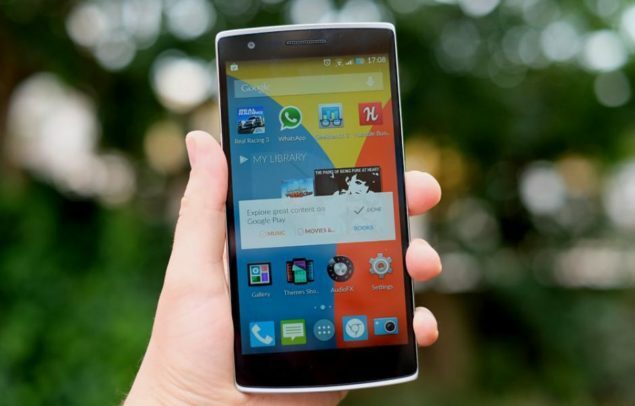 Now that OnePlus 2 has officially be released, let us take a look at the pricing details of the recently announced smartphone. Just so you know, OnePlus 2 is going to be available to purchase in the 3 GB and 4 GB RAM variants, which will obviously mean that there is going to be a huge price difference between the two handsets. 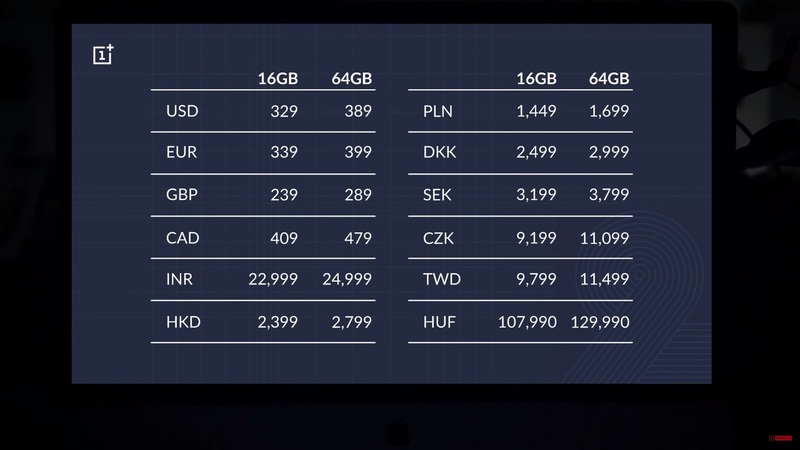 Since OnePlus 2 is going to be released globally, we have decided to compile a table detailing the pricing differences of the smartphone according to the region that you will be residing in. According to the details present on the official website of Chinese phone maker OnePlus, both OnePlus 2 models, the 16 GB and 64 GB ones are going to be priced less than the $400 range, which is good news for future smartphone consumers looking to purchase a price/performance handset. 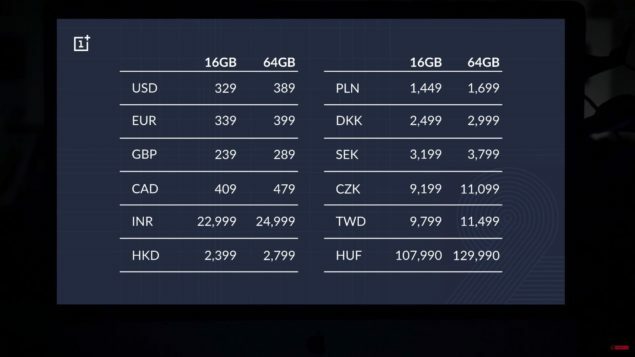 The 16 GB model is going to feature a price of $329 and will be fitted with 3 GB of RAM, while the 64 GB model with 4 GB of LPDD4 RAM will be tagged with a price of $389 (in the regional boundaries of the United States). The smartphone will be available to purchase starting August 11th in Canada, India, the European Union, and China. Coming to the different pricing details according to the region that you will be residing in, it appears that smartphone consumers living in the regions of Hong Kong, Taiwan, and Canada are going enjoy the reduced prices of OnePlus 2 (if you convert their original prices to USD). As for regions like Europe and UK, looks like you are going to have to spend a tad bit more as compared to the remaining ones. We will be providing more details concerning OnePlus 2 so stay tuned for more.